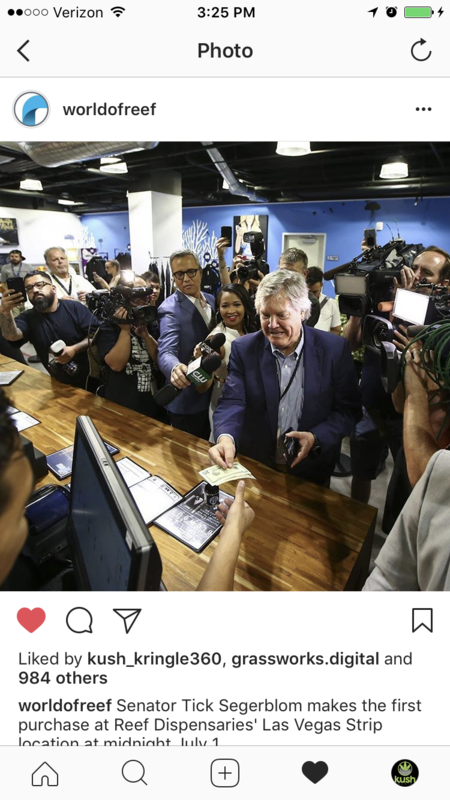 With the fastest turnaround time to date, the state of Nevada took less than 8 months to go from passing legislation to legalize the recreational use of cannabis to making their first legal sales. This is a BIG deal! 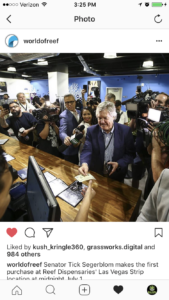 Late last night/early this morning (depending on how you want to look at it) Nevada State Senator Tick Segerblom made the state’s first recreational cannabis purchase at Reef’s Las Vegas Strip location, and adults over the age of 21 are lining up around the state to take part in history! To learn more about Nevada Cannabis Information, click here! To find the nearest Nevada Retail Cannabis Shop, click here! And if you’re looking for a great place to stay once you get into town, check out our comprehensive Nevada Cannabis Friendly Lodging Resource, it’ll never steer you wrong!